The size of the golf hole on every putting green on every standard golf course in the world is 4.25 inches in diameter. How many times have you lipped out a putt and wished that the size of the hole on the green was just a smidge larger? One of our most frequently asked questions from readers: How did the golf hole come to be standardized at its current diameter of four-and-a-quarter inches? As with so many standards in golf, the universal application of hole size comes to us courtesy of the Royal and Ancient Golf Club of St. Andrews, with a major assist from the links at Musselburgh. What we know today as greenskeepers were, in the 1700s into the 1800s called 'hole cutters,', as their primary service was that of filling in old holes on the green and cutting new ones. There was no standardized hole size, and the size of the golf hole varied from links to links. In 1829, Royal Musselburgh in Scotland purchased the first known hole-cutter an implement designed cut golf holes in uniform size and shape -- from a non-untraced source for £1. This ancient hole-cutter still exists and is on display in the clubhouse at the course. Musselburgh's revolutionary golf hole standardization took a while to catch on across the golf world. For example, the Historical Dictionary of Golfing Terms cites an 1858 newspaper article that refers to a six-inch hole, indicating size variance across links in Scotland and England was still common at that time. The 4.25-inch hole size became the universal standard following the issuance of new Royal & Ancient Golf Club of St. Andrews rules in 1891. The exact reason that the first tool cut holes at the now-standard diameter is lost to history. It was almost certainly a completely arbitrary thing, a notion supported by the story that the tool was built from some excess pipe that was laying about the Musselburgh links. While the 4.25-inch golf hole may reflect the norm, it is by no stretch an edict. In the 1930s, Gene Sarazen spoke a handful of times in favor of going to an 8-inch hole. Jack Nicklaus has, for special events, cut 8-inch holes at his Muirfield Village Golf Club. TaylorMade sponsored a 2014 exhibition played with 15-inch holes featuring professional golfers such as Sergio Garcia. 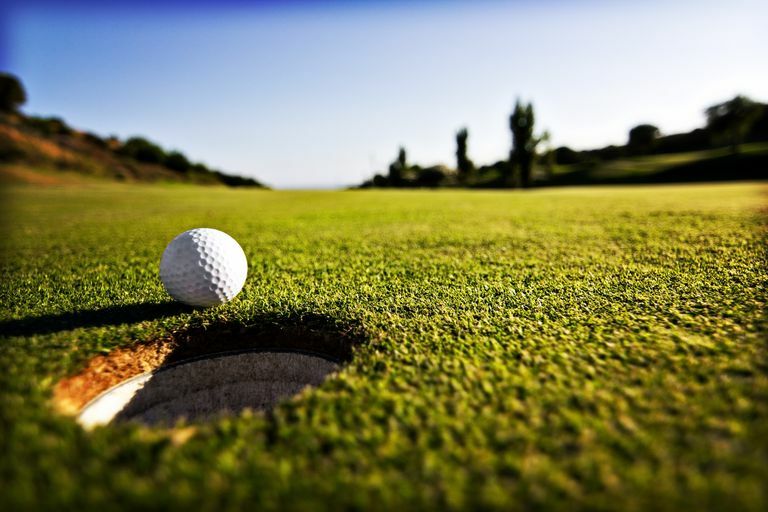 While it is almost inconceivable to think that high-level golf might ever be played with anything other than the standard 4.25-inch hole size, it certainly is possible that a few golf courses here and there could cut larger holes to see how their customers react, with the line of thinking being that more putts mean more fun for recreational golfers.